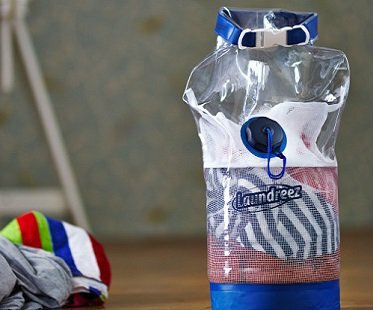 Keep your laundry clean when on the go with this portable clothes washer! It's so simple to use- just add detergent, water and your clothes and shake it all up! After some soak time, your clothes are ready for a quick rinse and then hung to dry. It's the perfect solution for camping trips and vacations and you can even use it as a cool bag!